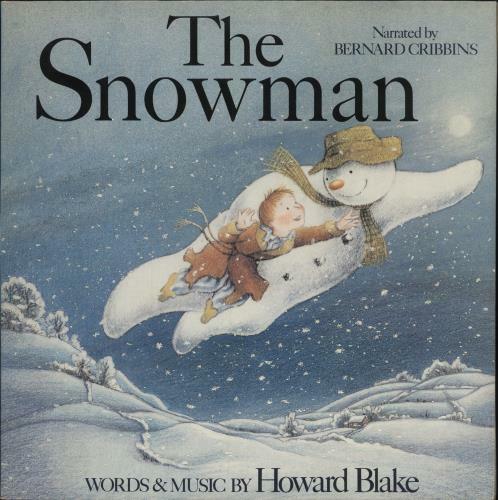 ORIGINAL SOUNDTRACK The Snowman (1983 UK classic LP narrated by Bernard Cribbins with words & music by Howard Blake. Side A features the full narrated story & Side B is the complete soundtrack to the film. Includes the hit single Walking In The Air, still a favourite with children the world over, custom stickered picture sleeve with song lyrics. The sleeve shows only the lightest spot of corner wear & the vinyl still looks barely touched or played 71116).